Click on photos to see the full image. 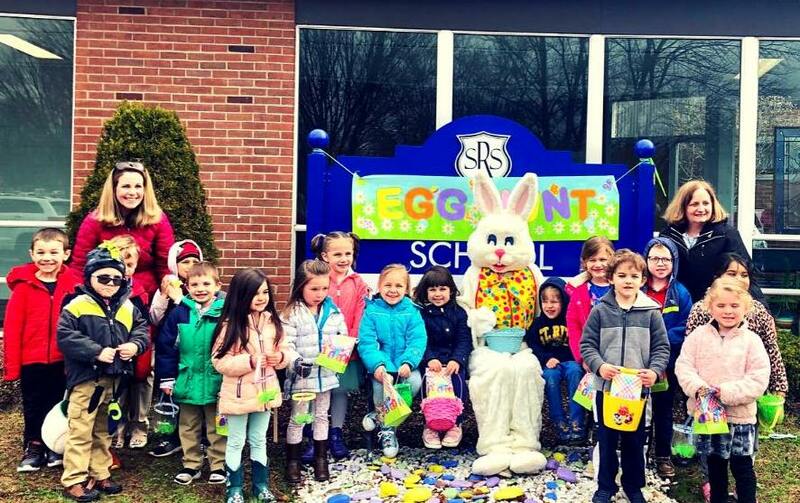 These Pre-K students enjoyed the Easter Egg Hunt even in the cold. 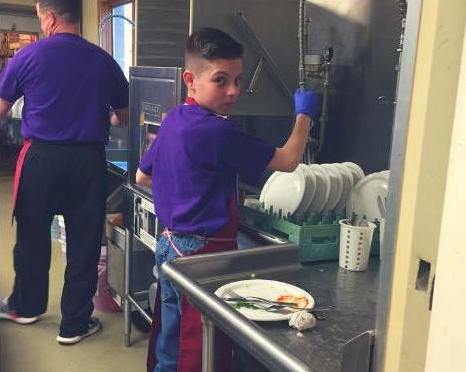 Students helped with the Parish Lenten Fish Fry. 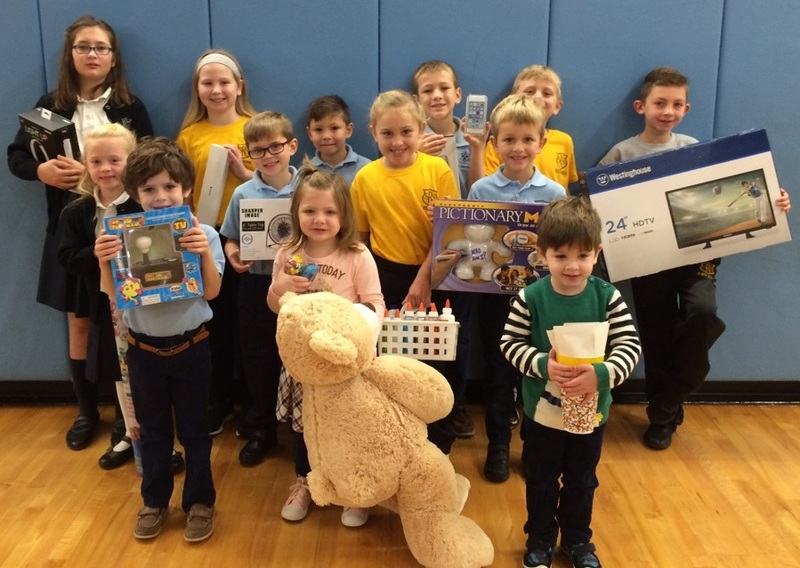 Just some of our Alumni who were awarded "The Hands of Christ Award"
Kindergartners using Ozobots (mini robots) in Science. 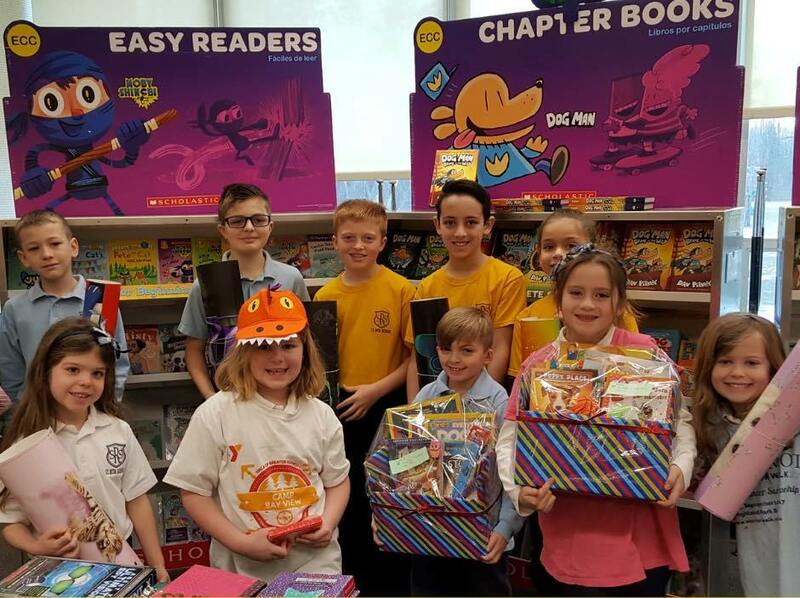 Spring Book Fair raffle winners show off their prizes. 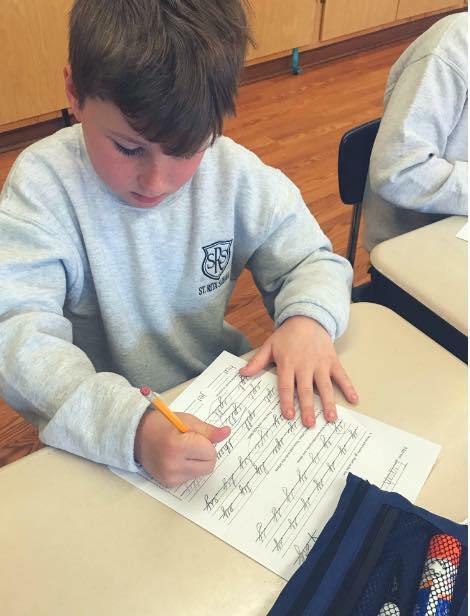 Students work hard at improving their cursive skills. 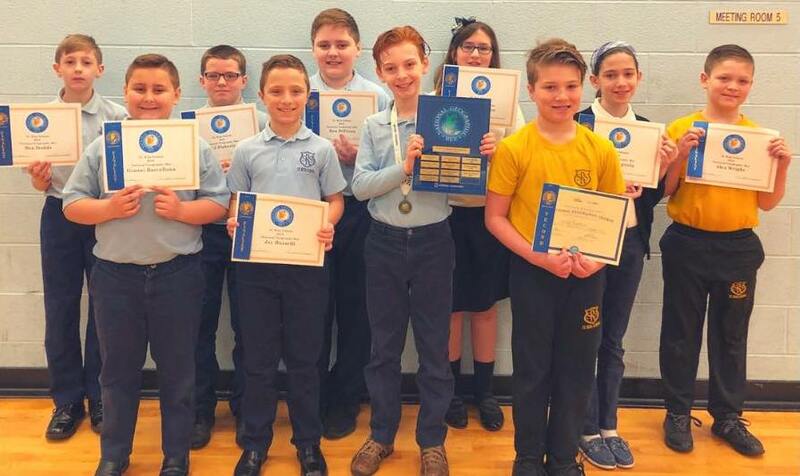 We are so proud of our Geography Bee winner & finalists. 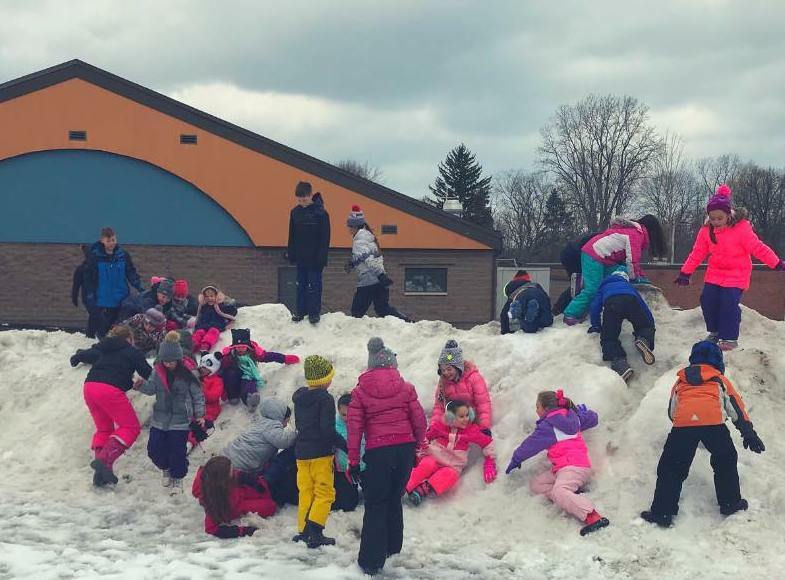 Climbing on snow banks was a part of Winter Fun Day for grades 1 to 4. Everyone enjoyed the traditional Christmas Sing-A-Long to start vacation. 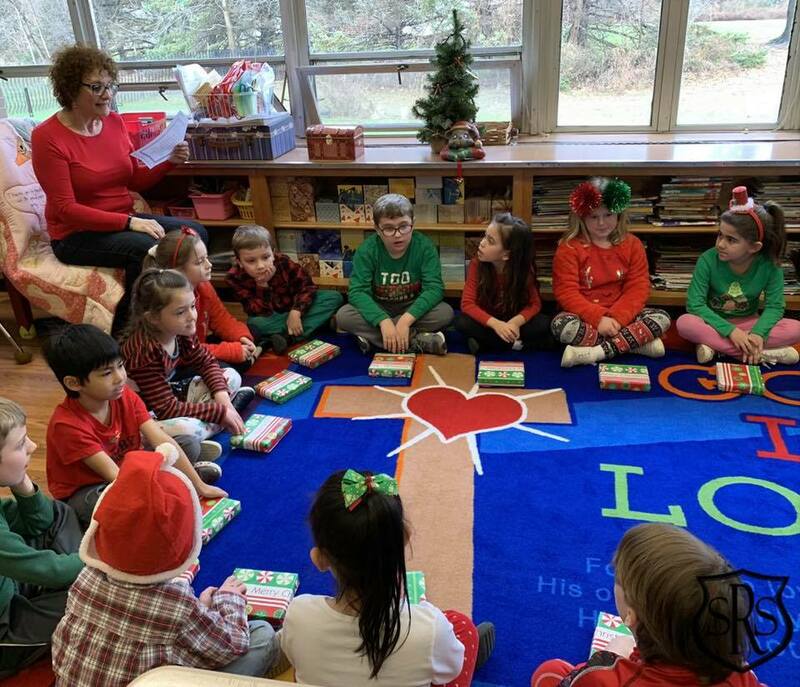 Classroom prayers before sharing gifts with classmates. Santa came to visit before he got too busy. 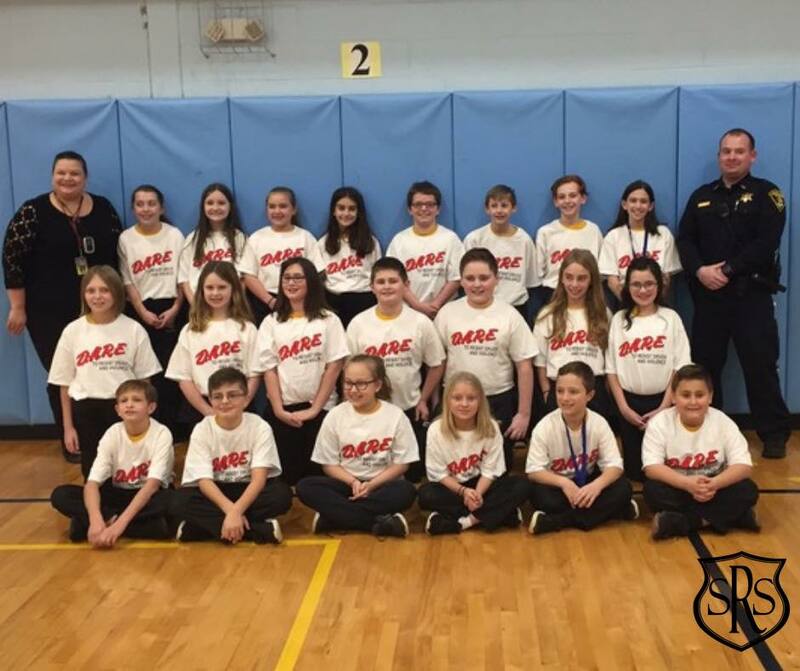 The 5th graders completed their D.A.R.E course in style. 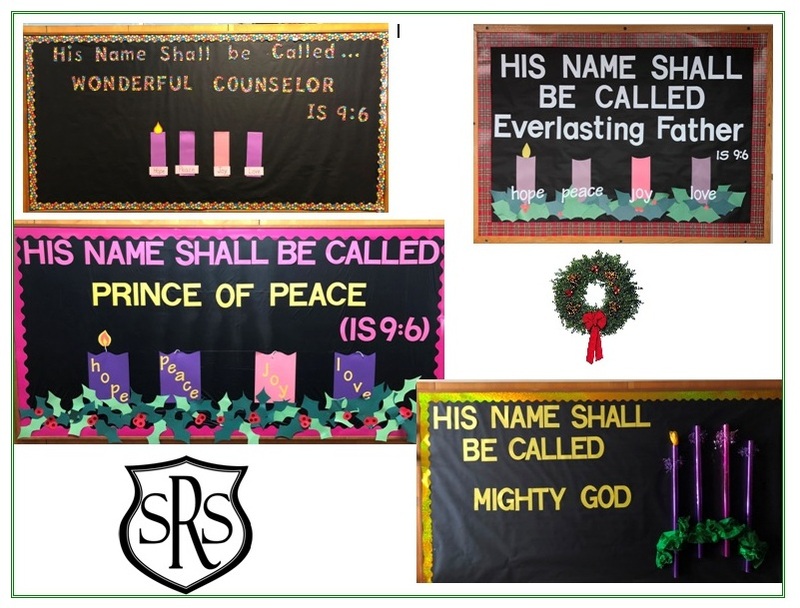 Our Advent Service Project, Light the Candle, was a huge success. 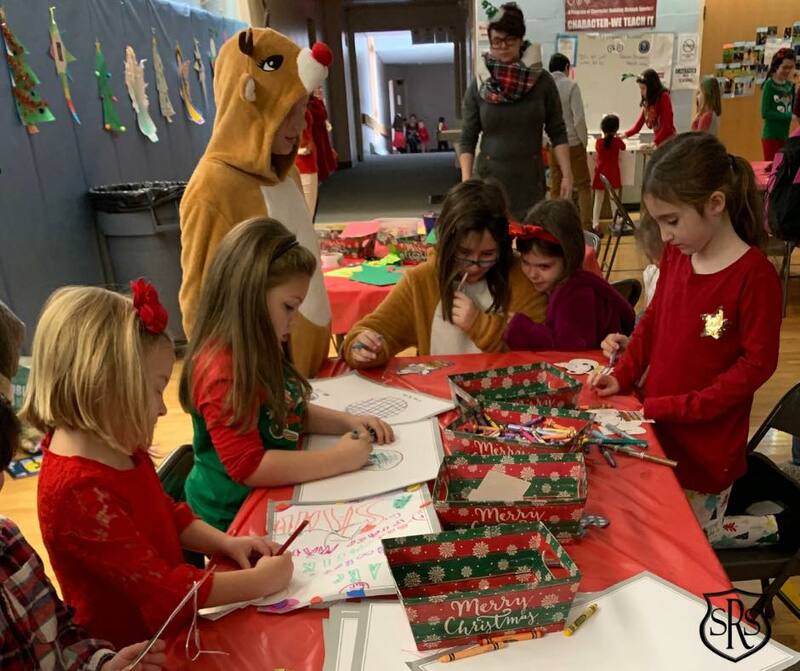 Older students helped with the PreK & K Breakfast with Santa. 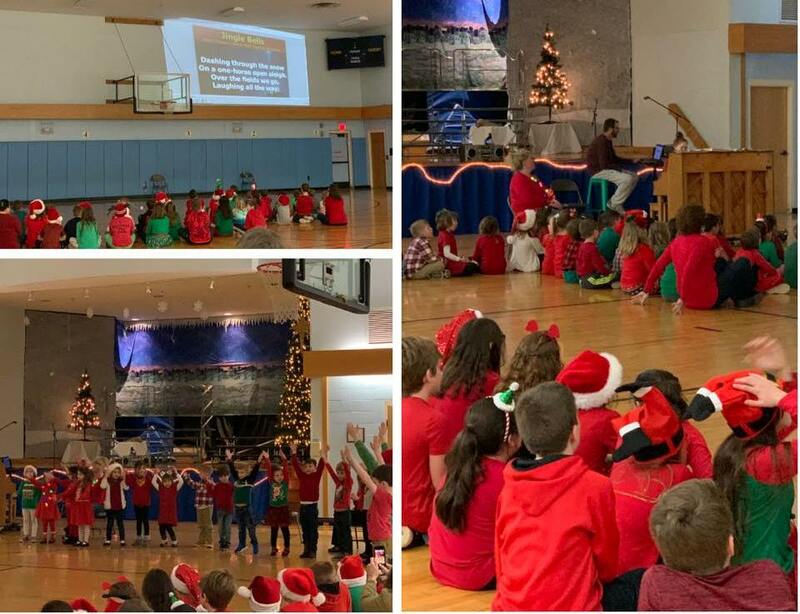 The "Unfriendly Beasts" was the Christmas play presented by students in K-2. 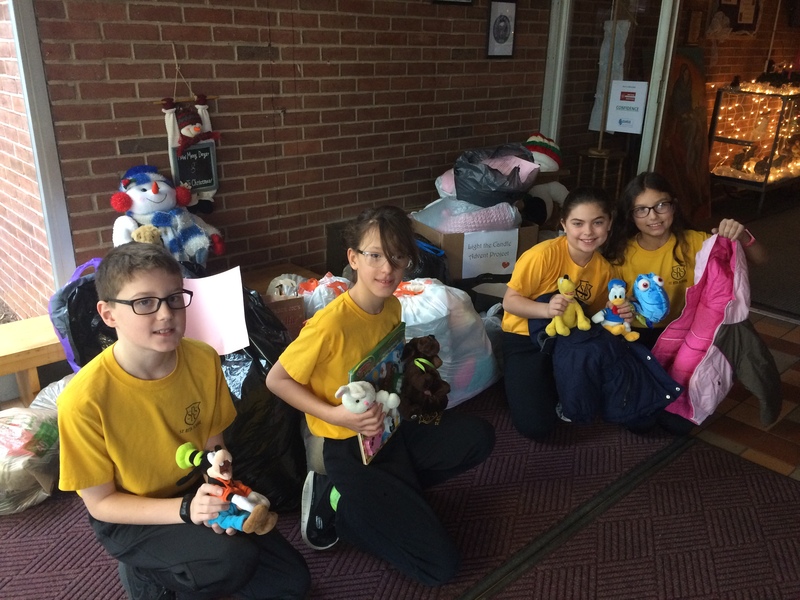 The animals finally did welcome Mary, Joseph and Jesus into their stable. Mrs. M. was a special reader at our Barnes & Noble Book Faire. Mrs. P also read us a story. 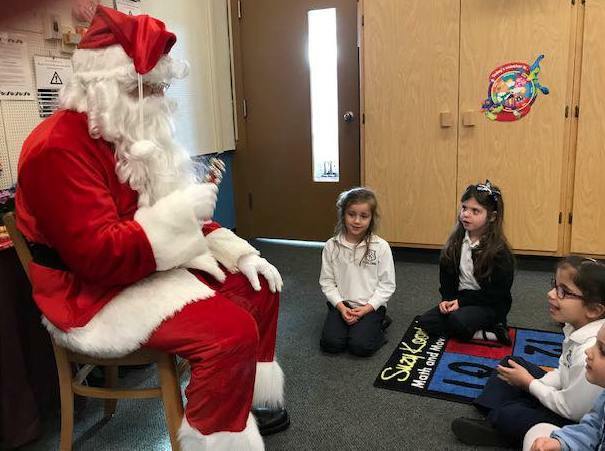 Everyone enjoyed Santa reading the Night Before Christmas. 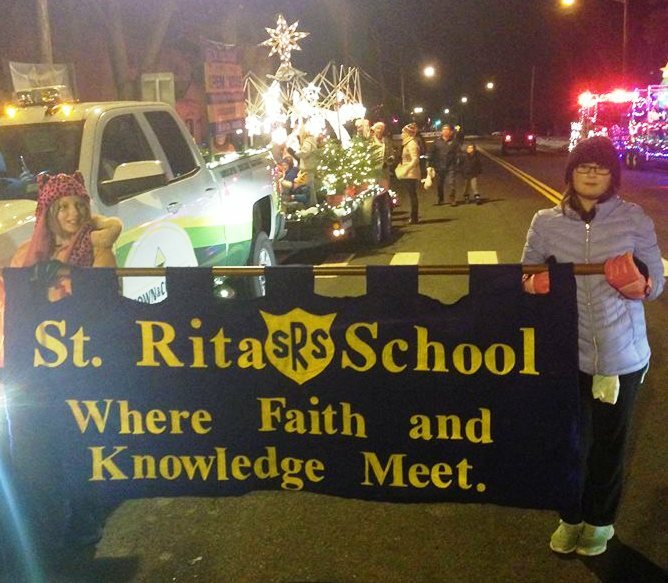 Students both walked and road on our float. 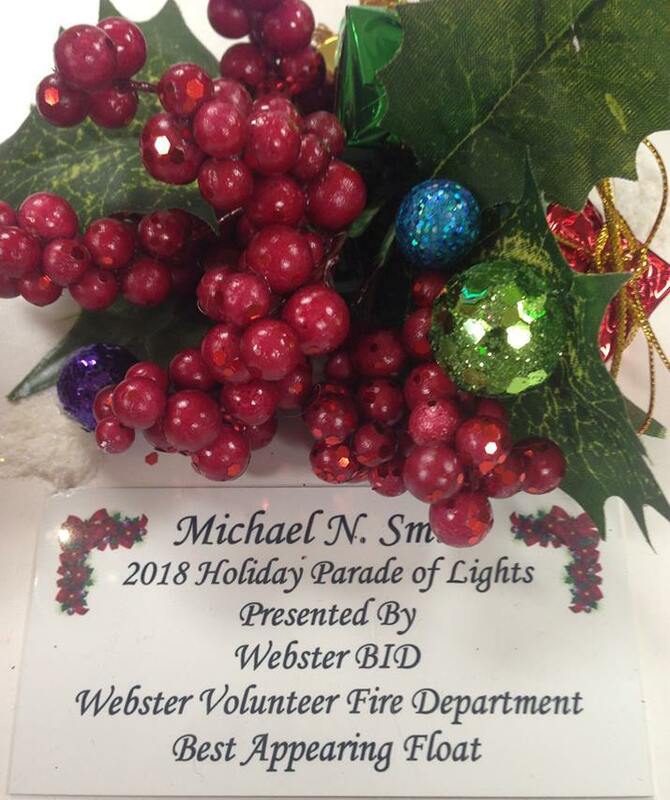 Our float won the prize for Best Appearing Float! 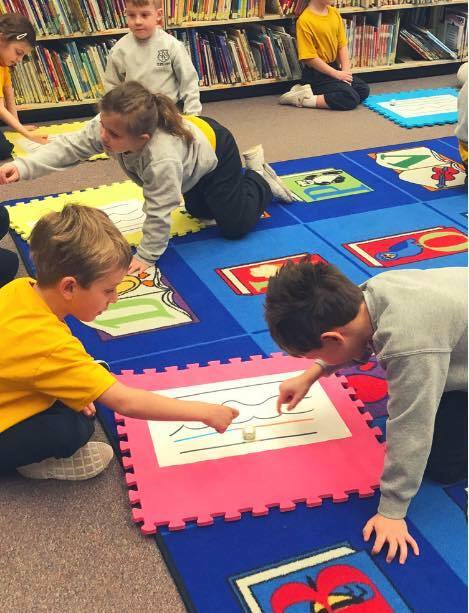 A STEM after school workshop had students working with Ozobot robots. Watching her Ozobot follow the path she created. Another stop was to build a paper rocket so it could fly. Exploring an Augmented Reality game was a popular station. They also used their programming skills to make the light flash. 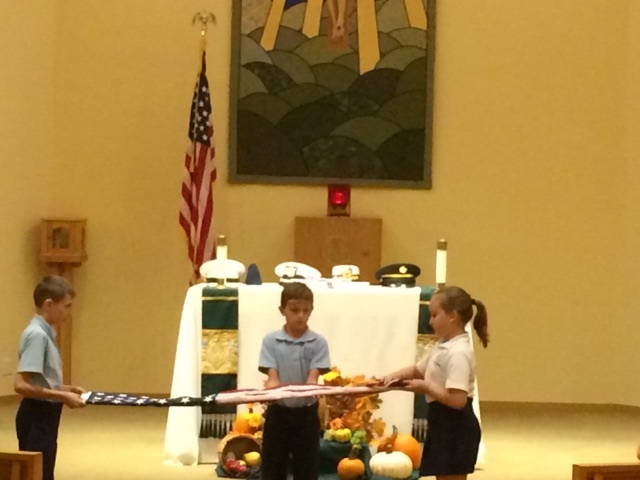 The 5th graders lead a beautiful Veterans Day Service. 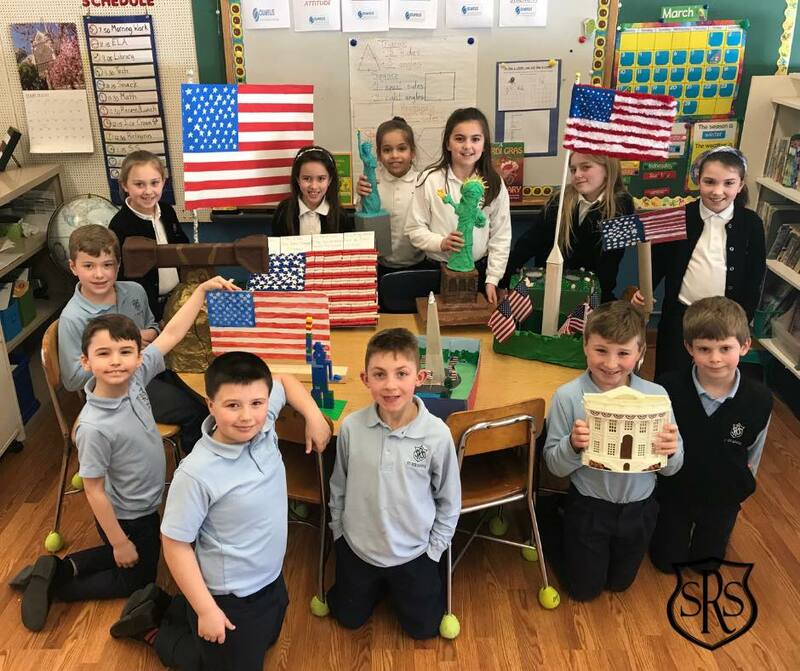 We honored all branches of the military. Sergeant Major Joseph Forbes was the speaker. 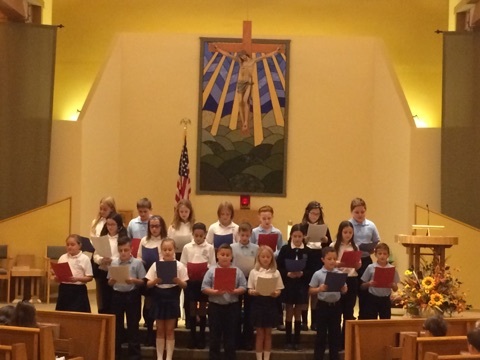 The 5rd graders did a beautiful choral reading. 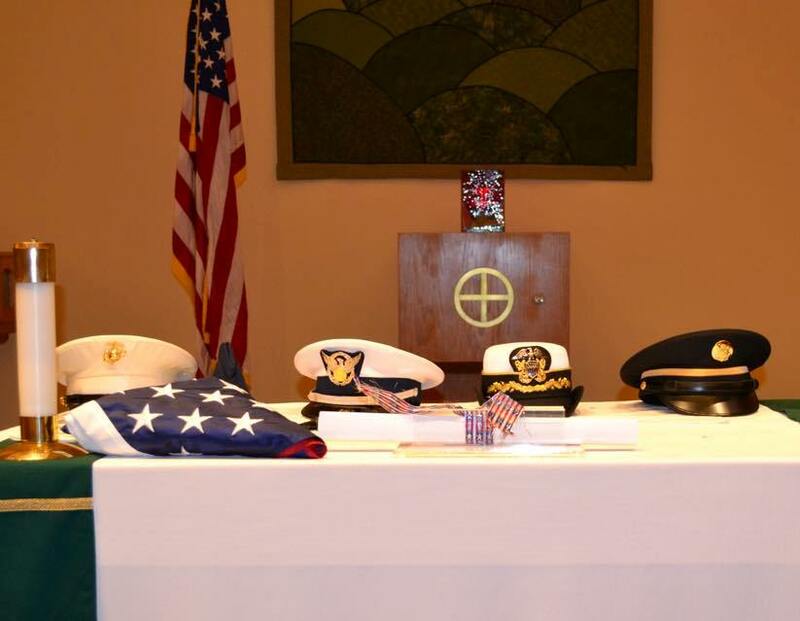 Folding the flag to close the service. 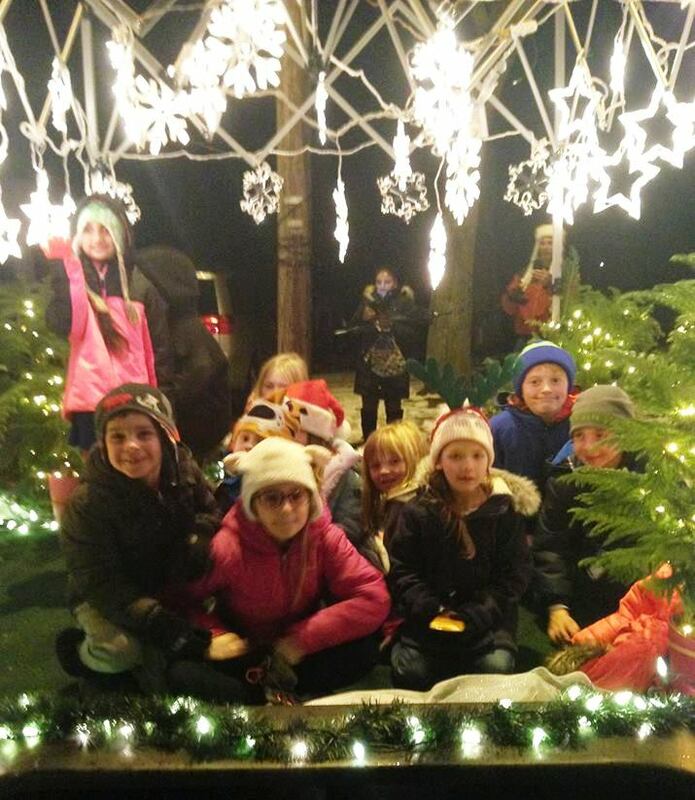 Share the Joy project sends candy and cards to soldiers. 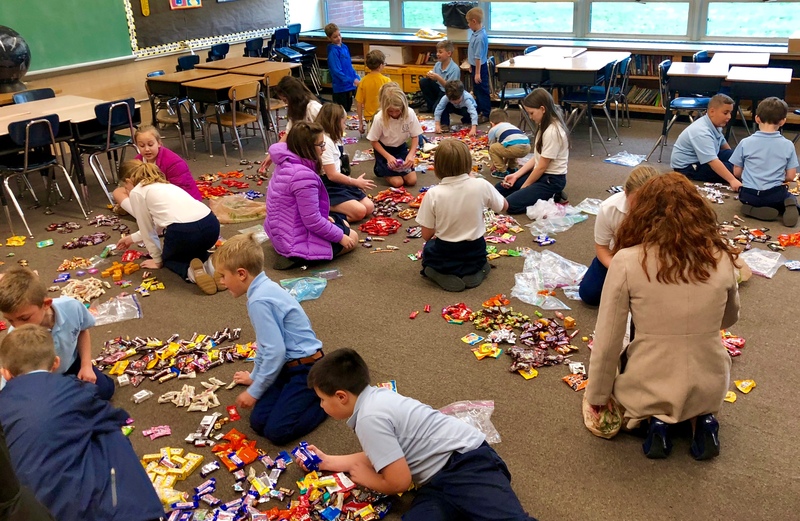 Counting and packaging candy as part of our Share the Joy project. 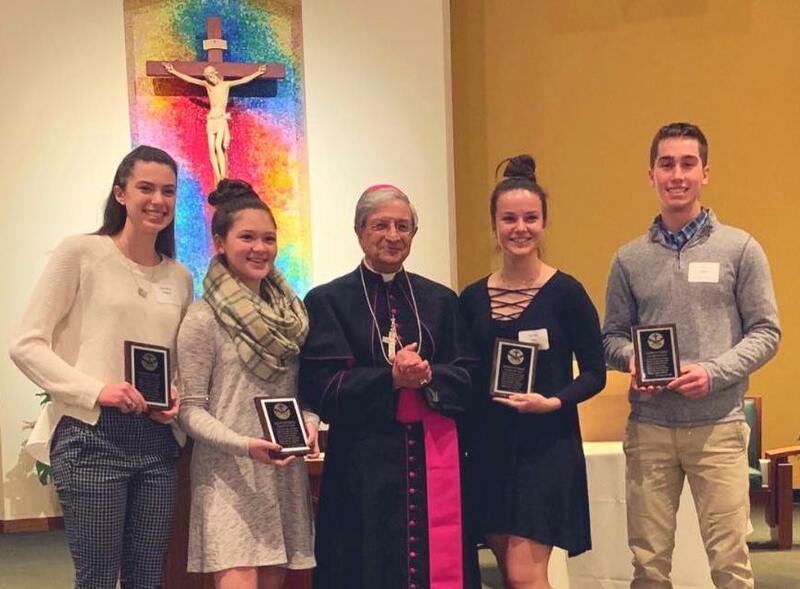 The Marathon prize winners were announced! Just some of the backpacks donated to CASA from our Fall Service project. The Science Room is all set up for the Fall Book Fair. 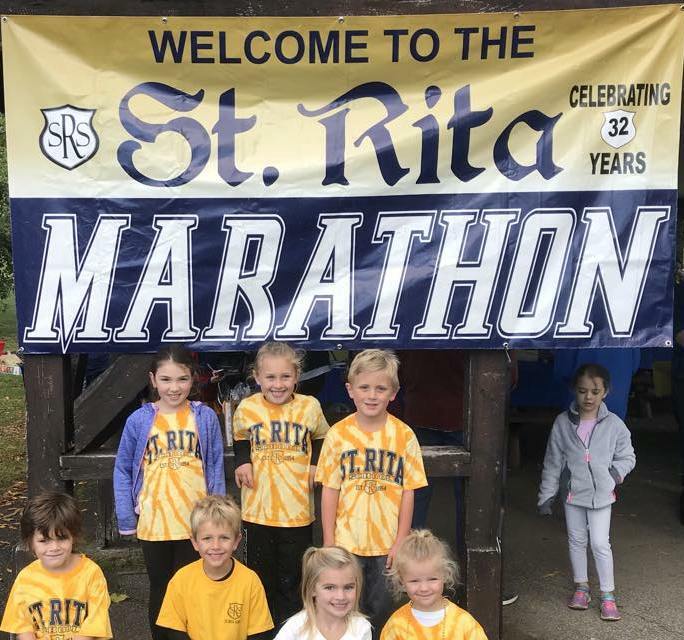 A big welcome to our annual Marathon! The Marathon is a social event as well as a fund raiser. Hot dogs when you finished is part of the Marathon tradition. An ice cream treat was added this year. Just some of the faculty and staff who were there. There was a great turn out for the PreK~Kindergarten new family Ice Cream Social. Mrs Wagner had help dishing out the ice cream from alumni Joe D.
The Balloon Lady was enjoyed by all. 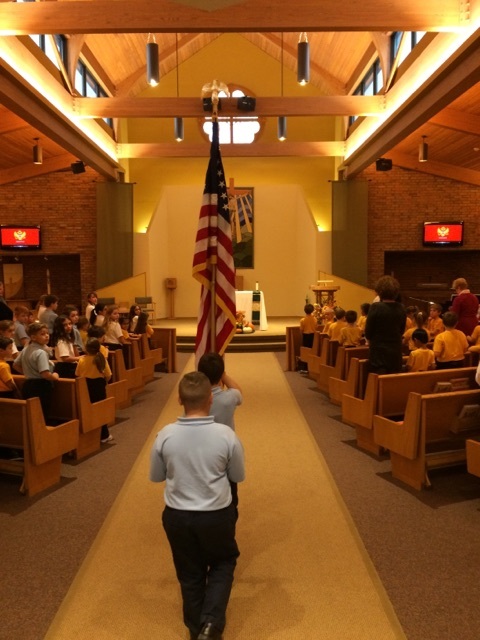 The opening procession for the first school liturgy of 2018-2019. 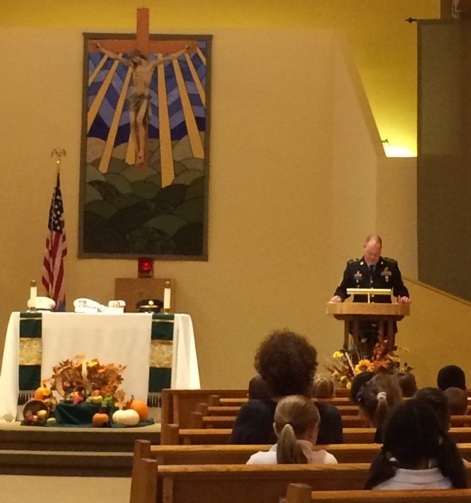 Prayers of the Faithful were read by the 5th graders. Mrs. Wagner welcomes students as they come off the bus. Father Gonyo welcoming the 1st graders. 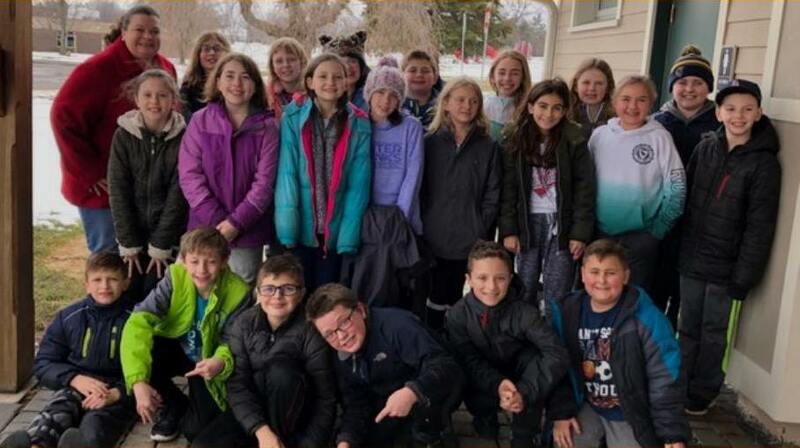 The 2nd graders waiting to go in to start the new year. Our Rock Garden is waiting for the students to return. Our PreK students now have a playground their size. I'm sure the PreK students will enjoy their playground.